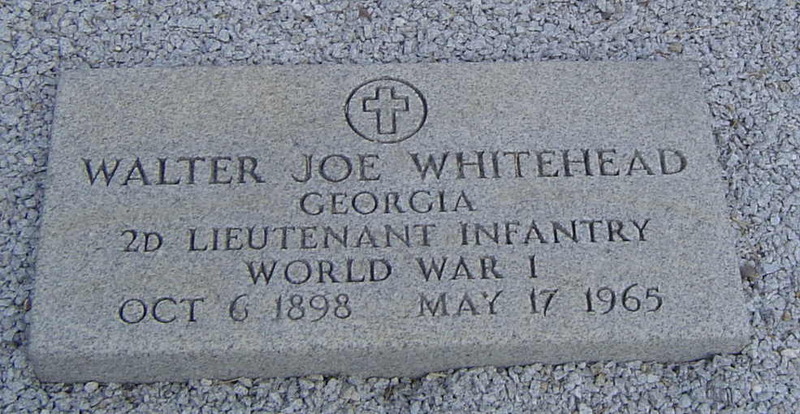 Walter Joe Whitehead was born 6 October 1898 in Oglethorpe County, Georgia. Walter went by the name Joe. His father’s name was Walter Everett. Joe is my Grand Uncle. He was the brother to the grandfather that I never met (Fred Whitehead). I am fortunate to know so much about Joe, due to the genealogical book that his wife, Emma Chloe Adams Whitehead compiled prior to her death. 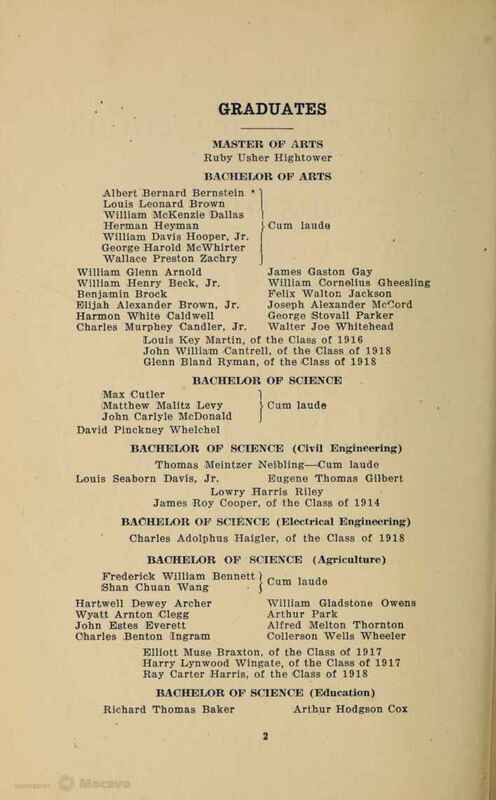 Joe eventually graduated from the University of Georgia following the war in June 1920. Several pages in this book give the readers a close glimpse into the courtship of Joe and Chloe. My favorite is the where she describes sitting in the lobby of their hotel following their marriage. The bellhop walked through repeating several times that there was a call for Mrs. Whitehead. Not familiar to answering to that name, Joe had to tell her that she was wanted on the telephone (Whitehead, 1983). 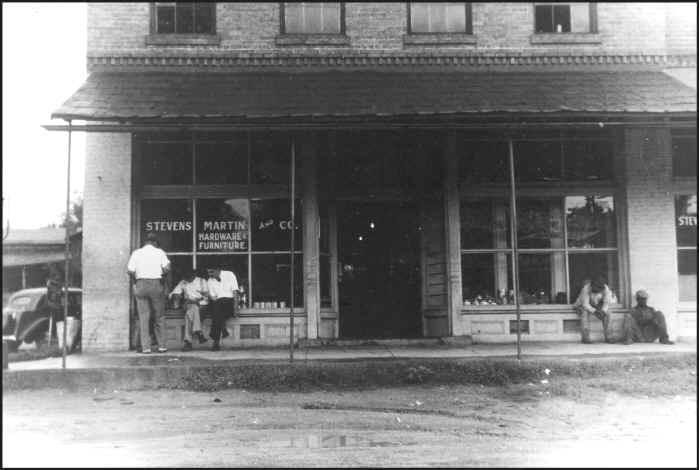 Joe worked at as the bookkeeper for the Stevens-Martin Mercantile. This business owned five cotton gins, two in Carlton (Madison County) and three in Oglethorpe. The store was eventually closed in 1962, after farming of cotton and corn had diminished. Joe was elected to the Madison County Board of Education in 1934. Although he was very civic-minded like his father, he never went into politics like his father. Joe had many friends that were into politics. Joe retired from the Madison County Board of education and became a member of the Georgia School Board Association in 1964. Joe was appointed Lieutenant Colonel of Governor Earnest Vandiver’s staff in 1959. In his mid-sixties, Joe’s health deteriorated. He was initially diagnosed of having a paralyzed left vocal cord. He ultimately was diagnosed with lung cancer and he died 17 May 1965 at the age of 66. My father, Larry Whitehead was one of the pallbearers as was Joe Augustus Stevens, Junior, my dad’s cousin. Join me next time as we continue to explore backwards.